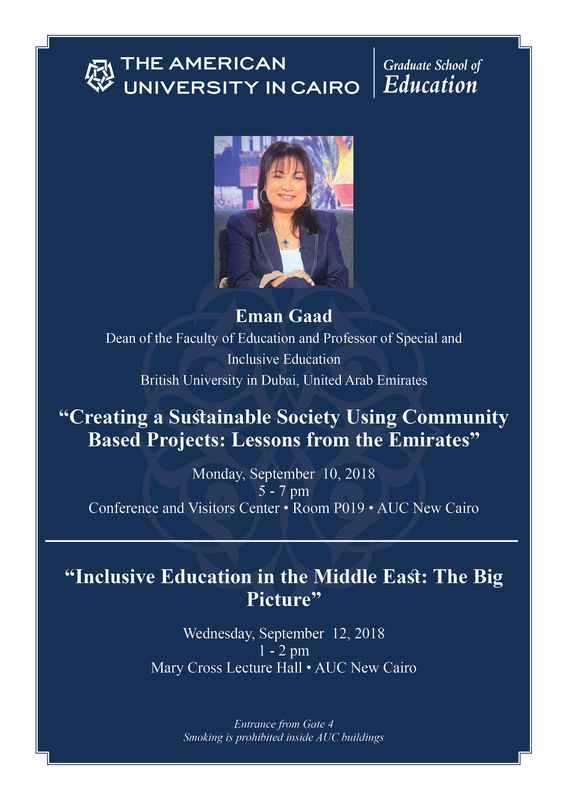 The Graduate School of Education will be hosting Distinguished Visiting Professor Dr Eman Gaad, Dean of the Faculty of Education and Professor of Special and Inclusive Education a the British University in Dubai, UAE. Dr Gaad will be delivering two lectures on September 10th and September 12. All of AUC community are welcome to attend.